While I do love the classic beef burger, sometimes it’s nice to switch it up with some ground turkey. Some people think this is a horrible idea arguing that turkey is dry and flavorless compared to the fatty goodness of a ground beef patty. I disagree. There are plenty of things you can do to ground turkey to make it punch you in the face with juicy, flavorful goodness. Step one. Get dark meat ground turkey. Just trust me. Step two. Follow the recipe below! 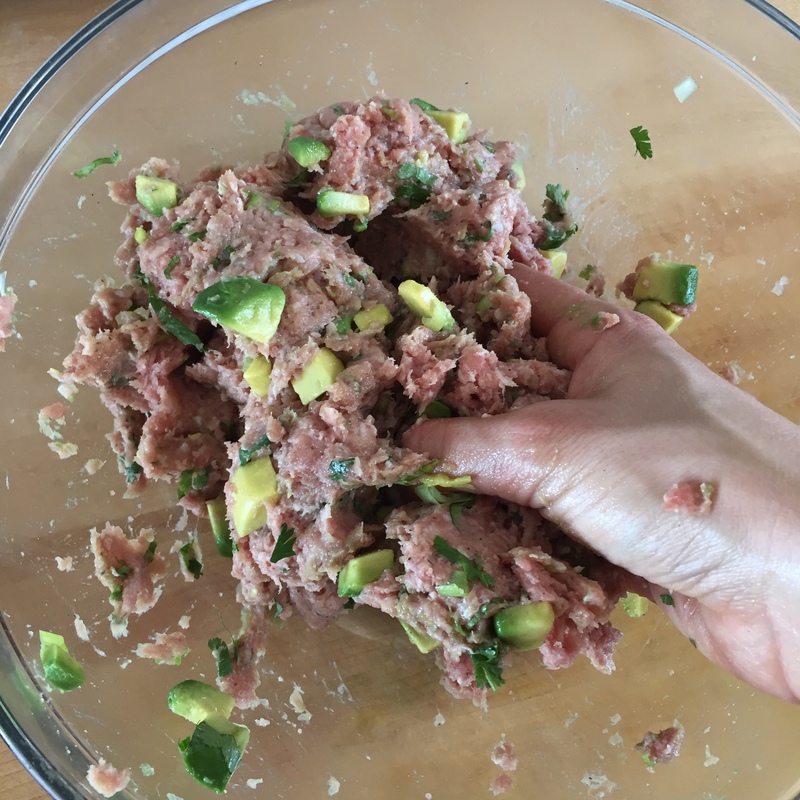 Mash patty ingredients together with your hands (aka the only way to mix burger meat). Form into 7-8 small patties, pressing your thumb in the middle when done (helps ensure even cooking). Place patties in sizzling oil. Don’t press them down, just lay them in the oil. Once the first side is seared and browned (about 2 mins), flip. They should come up off the pan easily. Turn heat down to medium and let the other side cook until seared (browned). 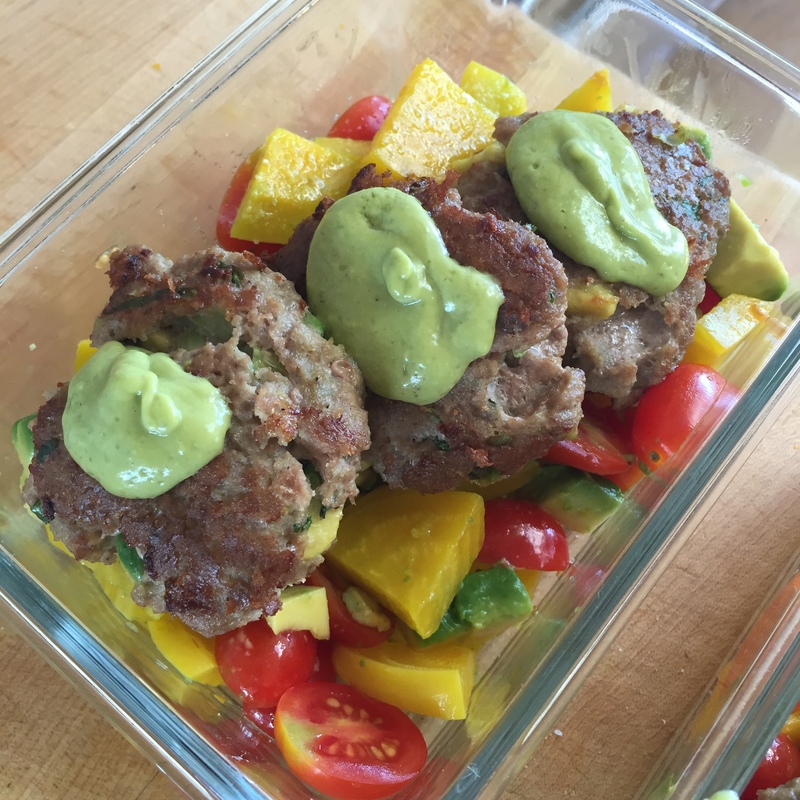 Remove from skillet and serve with Avocado Yum Sauce or some Dairy-Free Ranch!